If you want to escape abroad for Christmas, ita��s not too late! A language course is the perfect way to experience another culture at a magical time of year whilst learning a new skill. From enjoying traditional festive food to joining in celebrations with new-found friends and seeing in the New Year in style, jetting off at Christmas is a brilliant way to put some sparkle into the holiday season. Read on for some fabulous offers to help you plan a Christmas to remember. Book 4 weeks and get 1 week free! 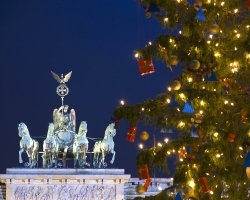 Berlin is a fantastic city at any time of year, but come Christmas it is transformed into a winter wonderland of over 60 Christmas markets, twinkling lights, fabulous eateries and romantic Christmas spirit. 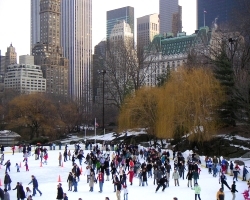 Ride a ferris wheel, go ice skating, watch jugglers and singers and warm up with a gluhwein or two a�� you cana��t help but be swept up in the spirit of things! Cactus is offering 1 week free when you book a 4-week General German course in Berlin. Learn German in the mornings and spend the afternoons exploring this captivating city. Combine your course with accommodation in a host family to experience a true Berlinera��s Christmas, or stay in a residence or apartment for complete independence. Frohe Weihnachten! 3 weeks for the price of 2! Another European favourite, Barcelona is a magical place to visit at Christmas, with extravagant Christmas lights at over 400 locations across the city (dona��t miss the spectacular light and sound show at PlaA�a de Catalunya or the beautiful Montjuic Magic Fountain). From Christmas concerts to midnight mass and childrena��s festivals to nativity scenes, Barcelona can be as traditional as you want it a�� yet the shopping and nightlife remain second-to-none. Stay for the Three Kings Parade on 5th January, arguably more important than 25th December, as 6th January is when the Three Kings (Tres Reis Mags) arrive loaded with presents for the children. A must-see! Cactus is offering 3 weeks for the price of 2 when you book a Spanish General Course in Barcelona between 14th December and 22nd January. There are plenty of accommodation options and regular flights. Feliz Navidad! Buy 2 weeks, get 1 week FREE! Buy 4 weeks, get 2 weeks FREE! 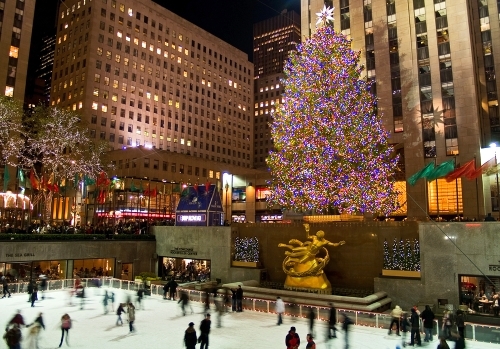 Christmas in New York Citya��who hasna��t dreamt of ice skating at Central Park, counting down the New Year at Times Square, swooning at elaborate window displays and seeing the whole city lit up like in the movies? Ita��s the most wonderful time of the year, as they say. If you want to learn English in New York, now is the time! Cactus is offering 3 weeks for the price of 2, or 6 weeks for the price of 4, on the Standard English courses and shared house accommodation in Brooklyn, New York. The offer is available from 30th November to 26th February 2016. Just one subway stop from Manhattan, and with stunning views of the Statue of Liberty, the school in Brooklyn offers all the benefits of small classes and personalised service with the best of New York right on the doorstep. A very Merry Christmas, wherever you are!